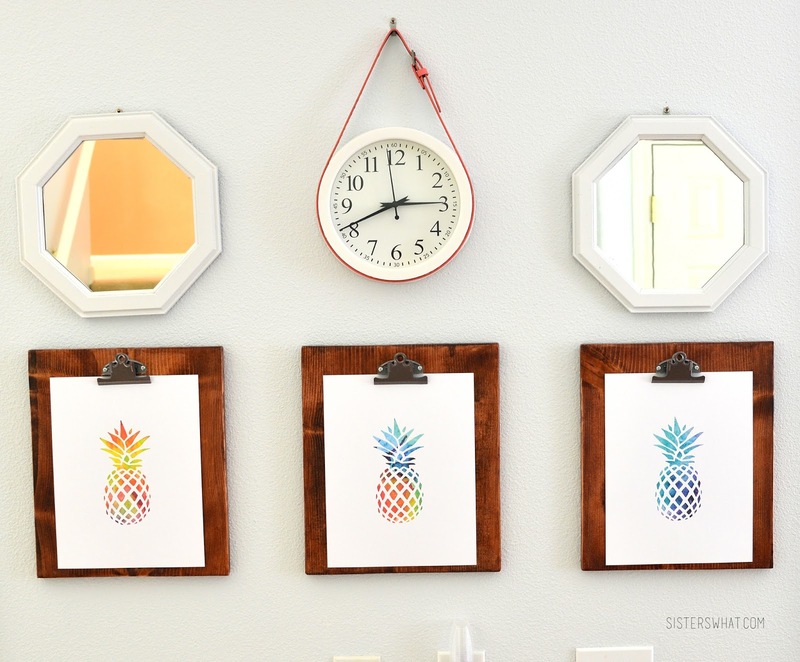 ' DIY Fancy Clock Belt and DIY Clip boards - Sisters, What! I'm still getting used to the idea of decorating, period. The few walls that have anything on it, I'm so happy we figured it out. But seriously, it doesn't come natural, it takes a while for me to figure out what I want. This wall was the first to go up and the inspiration was finding those mirrors. 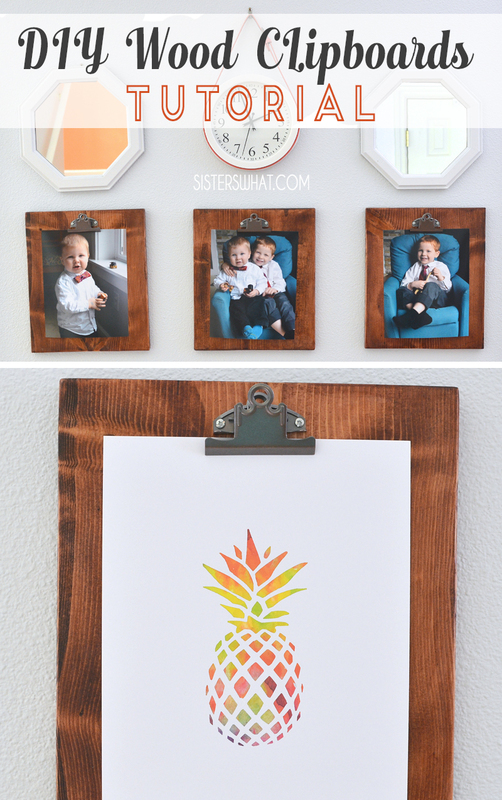 I loved the idea of using clip boards to interchange pictures and kept seeing DIY clipboards all over the internet. 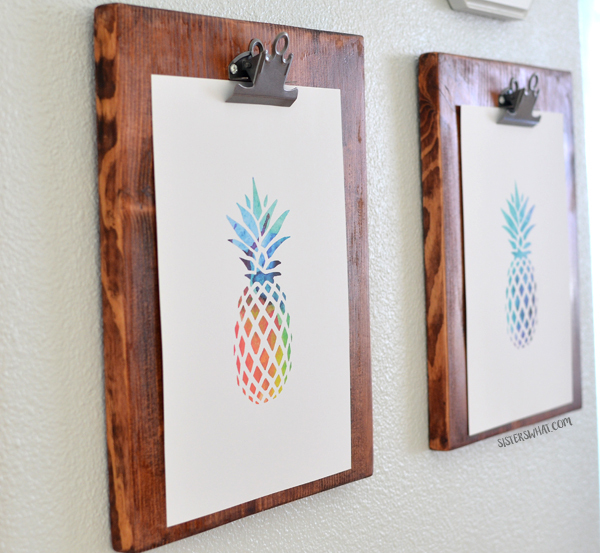 I loved the idea of making my own that matched our builtin bookshelves. 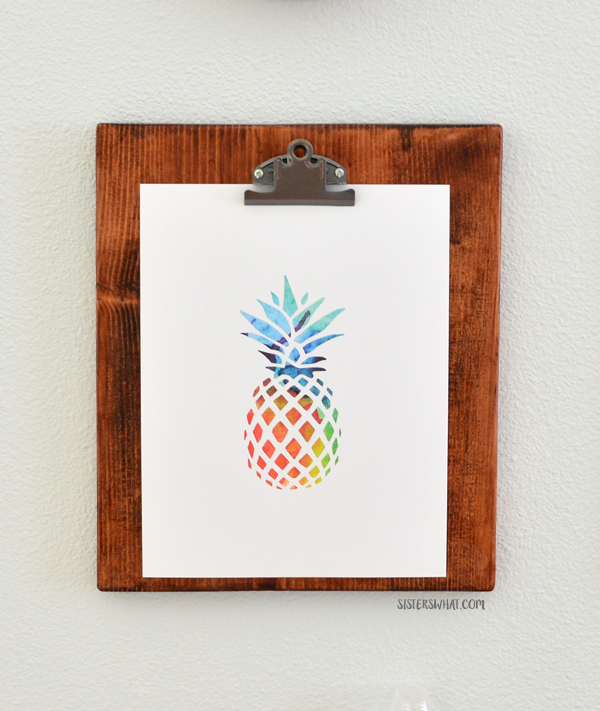 (you can find the middle pineapple print in my etsy shop). These were really easy. 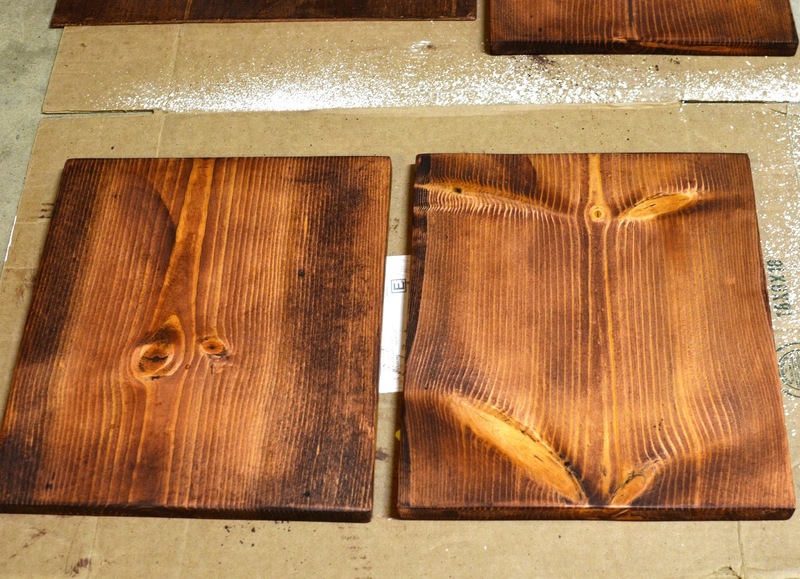 I cut a 1x12 down to the size 10x12 and then stained them. I got Metal Clipboard Clips and screwed them on where I wanted them. Simple and easy right? 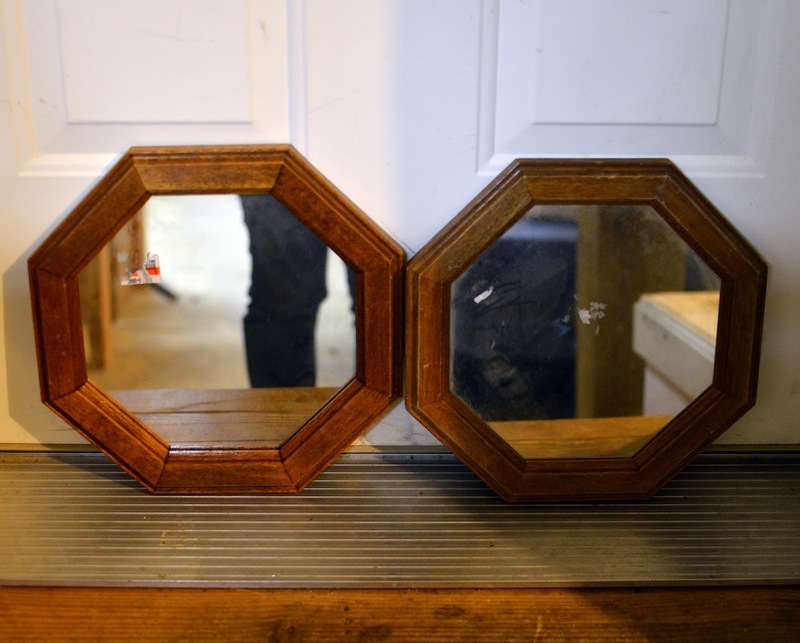 I found the two octagonal mirrors at the thrift store. 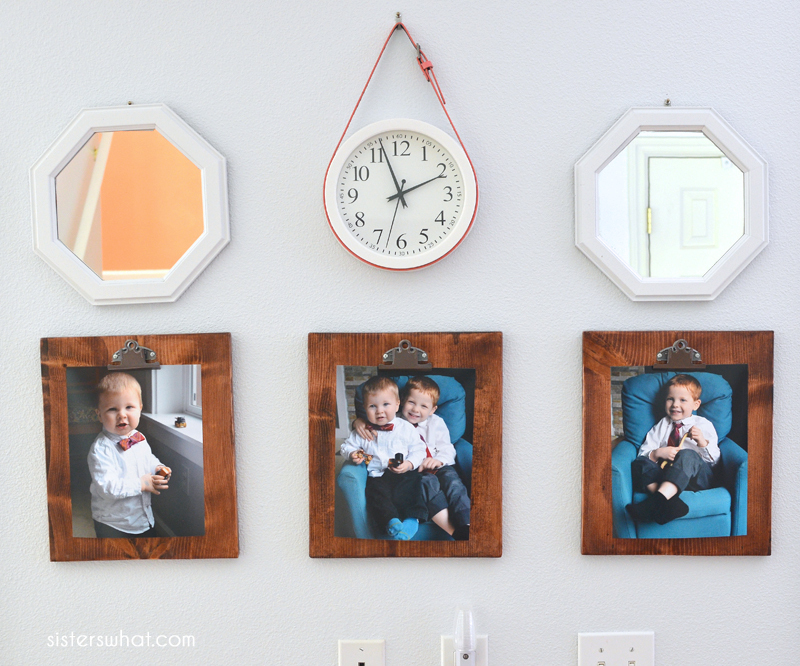 I figured they'd be perfect after a coat of white paint and a nice white clock in the middle. 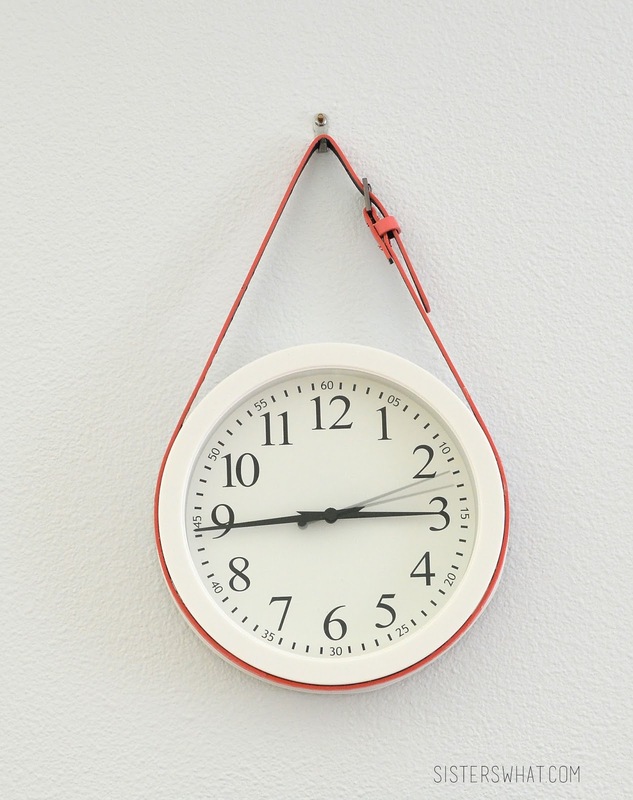 I got the idea of hanging the clock by a belt from some where online. I love the color and uniqueness it adds to the space, and it's most definitely a conversation starter. But no matter what, I love it. To make your own, it's pretty simple. I got my clock from Target for like $5 and the skinny belt was thrifted. Using E-6000 glue, (seriously my favorite glue) I carefully glued the belt onto the clock. Then I hung it. 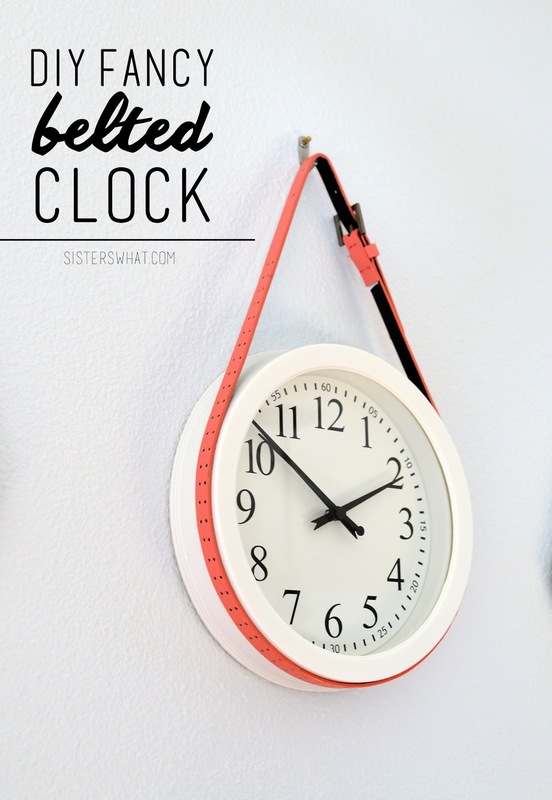 Easy and adds a bit of color to a simple clock.